Certified 5K race course along the waterfront on East Bay Drive. 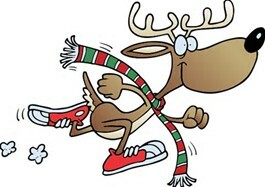 Registration fee includes a mulifuntional bandana for pre-registered participants and jingle bells for runners shoes. FREE - Hands On Childrens Museum Candy Cane 1 mile run. Awards plus post race food to included.